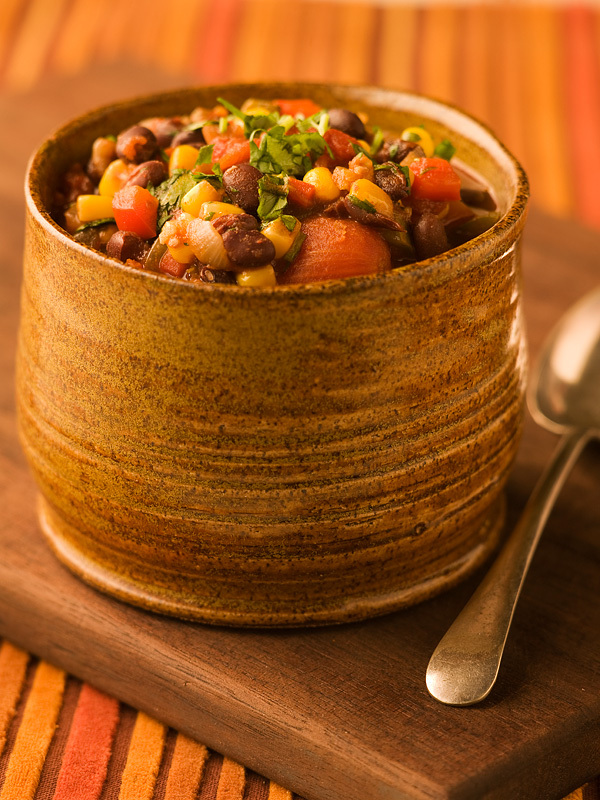 This chili is packed with so much bright Southwestern flavour that you’ll never notice it doesn’t include meat, but you will notice how quickly everyone empties their bowl! Splash the oil into a large saucepan over medium-high heat. Add the onions, carrot, bell peppers and garlic. Sauté until the onions are golden and the vegetables have softened, about 10 minutes. Add the chipotle pepper, chili powder, cumin and oregano. Continue cooking, stirring constantly for a few minutes longer. Add the tomatoes, black beans, corn and salt and bring everything to a boil. Reduce the heat so it’s just high enough to maintain a simmer. 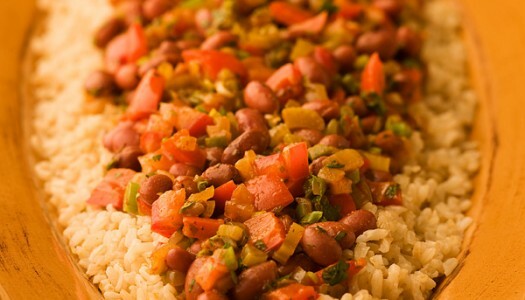 Continue cooking without a lid, stirring frequently, until the flavours are blended and the chili thickens, about 30 minutes. Chipotle chili peppers in adobo sauce are smoked jalapeÃ±o peppers packed in a highly flavourful tomato-vinegar sauce. If you don’t have any chipotles, you may easily substitute 1 or 2 jalapeÃ±os. Try topping each bowl with some grated cheddar cheese. This vegetarian version of a classic southern dish omits the traditional ham hock and replaces it with lots of bright Southwestern flavour. 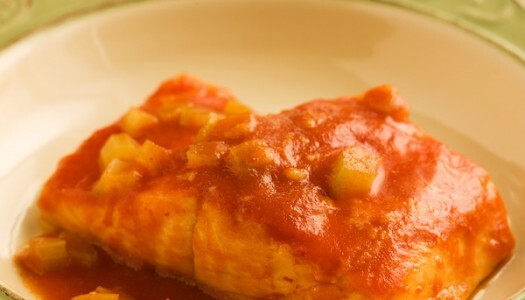 One of the easiest ways to cook any type of fish is to simply simmer it in a flavourful liquid. And if that liquid just happens to taste like a classic cocktail, all the better! This dish tastes like a special occasion, but you can actually put it together in minutes.